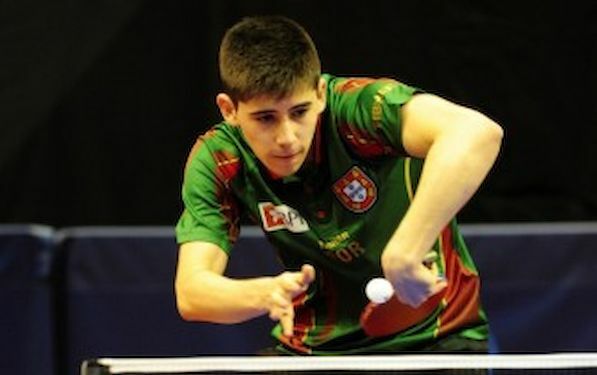 On the opening day of play at the GAC Group 2014 ITTF World Tour German Open, Portugal’s Joao GERALDO was the player who created biggest upset in the qualification stage of the Men’s Singles Event. In Magdeburg Joao GERALDO upset the pecking order by securing first place in his group, listed at no.252 on the current Men’s World Rankings, he accounted for Italy’s Leonardo MUTTI, named at no.201 (12-10, 11-7, 11-9, 11-9), before causing the biggest shock of the day. He overcame Korea’s SEO Hyundeok, current globally listed at no.76; impressively the 18 year old won in six games (5-11, 4-11, 17-15, 11-1, 12-10, 11-6). SEO Hyundeok in June 2011 beat ZHANG Jike in the Men’s Singles event at the Volkswagen China Open in Shenzhen, just six weeks after the Chinese star had been crowned World champion in Rotterdam. Such is the talent of SEO Hyundeok. Polina MIKHAILOVA of Russia and Ganna GAPONOVA of Ukraine are the only two top seeded players in their respective groups in the qualifications of the Women’s Singles Event who suffered defeats in the opening round. Roksana ZALOMSKA of Poland beat Russia’s player in full distance duel, whilst LI Qiangbing overcame GAPONOVA in five games.